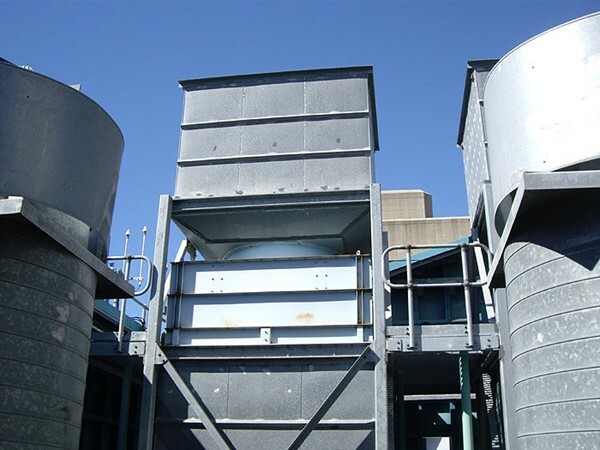 Acoustic Attenuators are needed when it is necessary to control noise and still provide the required airflow for your application. 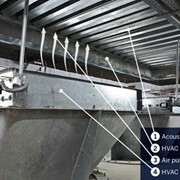 Acoustic Attenuators or acoustic splitters are fabricated in a wide range of materials and finishes. 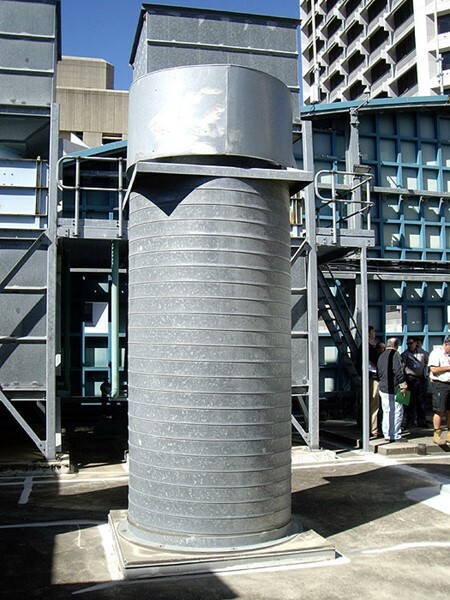 Flexshield manufactures a unique kit-form acoustic splitter attenuator that is perfectly suited for rooftop or basement plant rooms and gen sets. 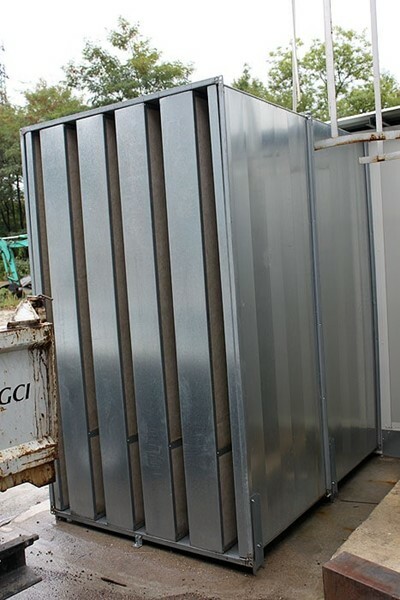 Supplied in a flat pack fit the acoustic attenuator is easily taken to the place of instalment without the need for cranes or heavy lift equipment. The Circular Attenuators are generally required where a gas or air flows through circular pipes. 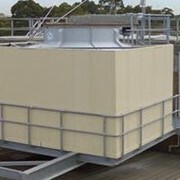 A basic circular attenuator will allow the gas to flow straight through which results in an average noise reduction and very low pressure drop. 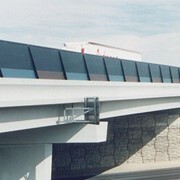 The addition of a pod into the attenuator provides a greater noise reduction, but may also increase the pressure drop. Matching flanges are provided to allow fitting to existing pipework. 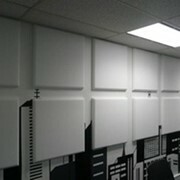 Acoustic Attenuators are custom fabricated to suit any opening size, acoustic or airflow requirements. 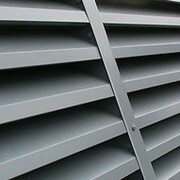 Once the correct design has been chosen the soundproof louvres are supplied quickly and are easy to install. 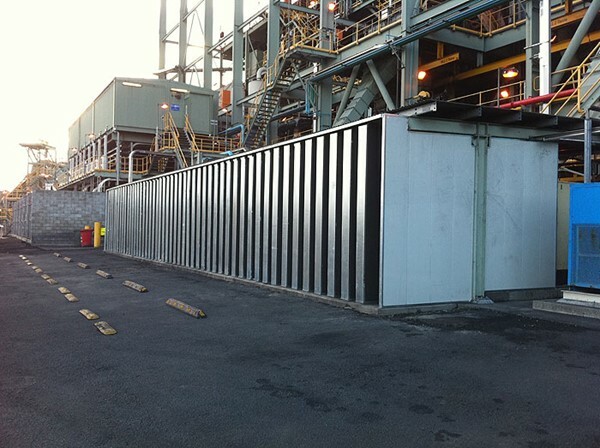 Flexshield has been at the forefront of industrial soundproofing in Australia since 2003. 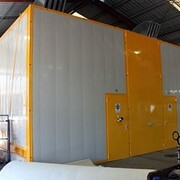 We are Australia’s industrial noise control specialists and leaders in workshop dividers & PVC curtains. To ensure your complete peace of mind, we also back up our products with a comprehensive National Association of Testing Authorities (NATA) accredited test results. 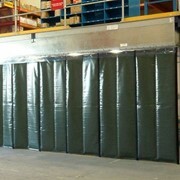 Products we offer for Industrial Noise Control namely: Industrial Noise Control, Acoustic Enclosures, Acoustic Doors, Acoustic Louvres, Temporary Noise, Barriers, Noise Barriers, Acoustic Curtains, Attenuators, Acoustic Foams, Flexible Noise Barriers, Mobile Soundproof Panels, Soundproof Baffles, Sonic Tents, Sonic Quilts, Noise Walls. Products for PVC Screening & Factory Dividers namely: Flexible PVC Strip Curtains, Flexible PVC Swing Doors, Wash Bay Screens, Welding Strip Curtains, Welding Sheet Screens, Welding Tents. 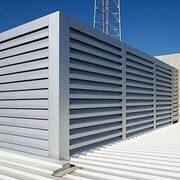 Bird and Insect Screens, Grinding Screens, Sonic Clear Screens and Barriers, Dust Control, Contamination Control, Weather Protection, Swarf Screens, Clean Rooms, Control Rooms, Flexible Noise Barriers, Fume Control. 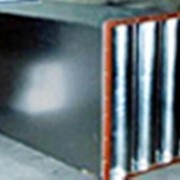 For Metal Trade Training Fitouts products namely: Welding Bays, Welding Screens, Grinding bays, Mobile Screens, Welding, Floor Mats, Welding Tables, Quench Tanks, Safe Fume Extraction Solutions. 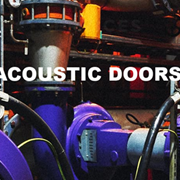 We also manufacture, supply and install an array of safety and operational solutions such as Flexible PVC Curtains, dust and fume control products, complete welding bay fitouts, and much more. 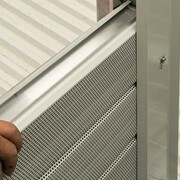 For example, we manufacture the world’s strongest welding screen WELDFLEX™, plus the quality of our SONICLEAR strip and swing doors are second to none. 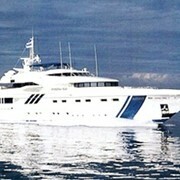 Mention IndustrySearch so Flexshield can best assist you! Get a callback from an expert at Flexshield to help answer your questions.